The Pua de Oro (‘The Golden Plectrum') is back, continuing with its aim “to make San Sebastian the capital of the guitar”. 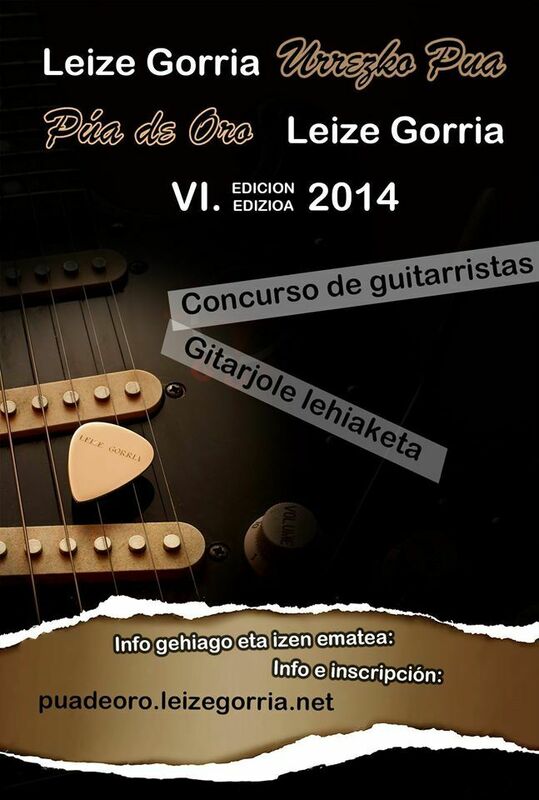 It's a competition for guitarists, particularly electric guitarists, organised by Leize Gorria. 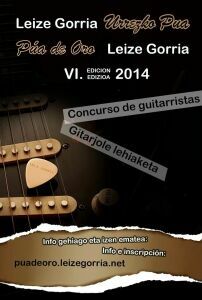 The competition gives guitar enthusiasts an opportunity to play live, in front of a good audience, at Bebop bar. You can compete to show your mastery of the instrument and win, or just to take part and have fun. This competition is a good way to help new competitors ingrate themselves into the music scene here; what's more, events like this one, in which local musicians come together to share a stage and their passion for music, are an impressive demonstration of the growing music scene here. Many artists are going to collaborate to create a collection of covers of songs performed by Shirley Collins. Collins was an essential figure in the folk movement and her album with Davy Graham (Folk Roots, New Routes) was seminal. Bonnie Prince Billy and Bitchin Baja's cover of ‘Pretty Saro' is well worth a listen and is already available on youtube. England's largest and most well-known folk festival started on the 29th July and carried on until the 3rd of August. Cambridge folk festival had a great line up this year, with some all-time greats, including Richard Thompson, Van Morrison and Martin&Eliza McCarthy. River Crombie is a singer-songwriter from Hamburg, who's recorded a homemade CD that is well worth a listen. His music is draws on influences from the folk movement of the 60s and 70s and his clear, clean vocals may well remind you of artists like Jackson C. Frank, Cat Stevens or Eric Andersen. We found his music thanks to www.folkblues.co.uk.